M.E /M.Tech. B.E /B.Tech M.B.A M.C.A. It was very good to be in this clg.I have learnt soo much here.as a person I have groomed here.I had exposure in various fields.lab facilities r excellent here moreover teachers here are well qualified and trained us.They also relate engineering with real time. 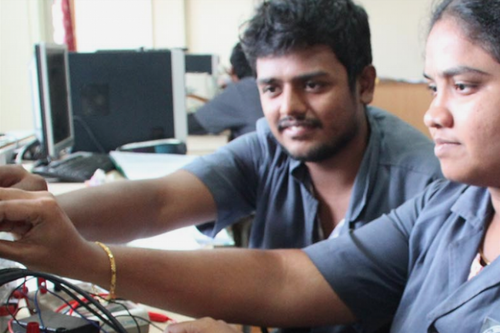 infrastructure here is awesome.Among Chennai Easwari engineering college is in the top rankings. Apart from studies, sport facilities are good here.crowd here is amazing.Pear group is always encouraging and take you towards your goal. On the whole this as been the best 4 years if my life. The first thing which comes to mind about my college is an amazing atmosphere. It's much closer to the city so it's much easier to commute. 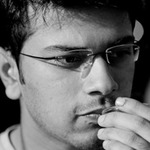 Engineering is all about learning ourselves and the staffs from the college make it much easier. In a lot of colleges, there so many restrictions like boys and girls shouldn't talk to each other. But here that kind of restrictions are made. This makes is much easier for the to interact with each other once they enter IT life. 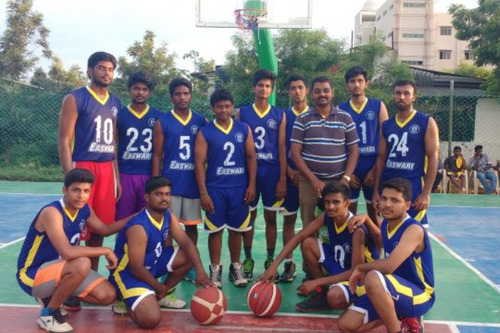 Teachers constantly encourage students to participate in extracurricular activities. This will enable students to excel in multiple fields. There are so many biriyani shops near the college. So lunch is not an issue. The college buses are good but pricey. Bikes and cars are allowed with ample amount of parking space in and around the college. There is no big difference between school and college life. College for 8 hours a day is kind of hectic.The college infrastructure is very poor,old fashioned. Most of the faculty are less experienced. Talking about attendance,we should maintain around 75 percent. The parking space is very less for cars. Learning is more theoretical than practical. industrial exposure is very less, few opportunities. Staffs are ill trained with no experiance. The college canteen is good,but can be maintained much better. Price cards can be reduced. We have got experienced faculty. The college campus has shady trees and food and snacks at the food court and the canteen is delicious. 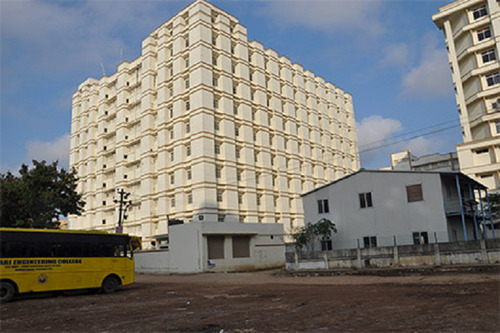 The hostel inside the campus has all the facilities and is safe. There are umpteen books in the library. The laboratories and the equipment are well maintained and students are allowed to work in the laboratories even after the classes get over. Also, the college provides very good sports facilities too. Does this college provides Dual specialization in MBA? How much cutoff eligible to join this college? Hello, You can visit it's website to check cutoff related information. Good luck. What is the fees structure for MBA in Easwari Engineering College through counselling? Hi, The total course fee for MBA programme in Easwari College of Engineering is around Rs. 70,000 for the entire two-year programme. Hi my overall rank is 35000,can l get mechanical engineering seat in this college? 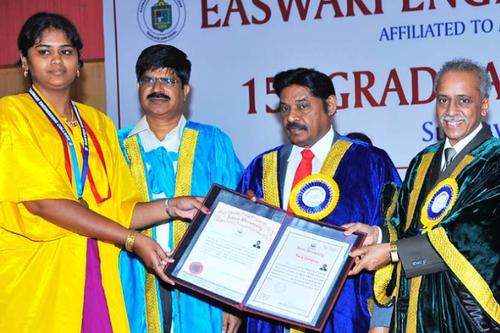 The Easwari Engineering College (EEC) is located in the city of Chennai, the capital of Tamil Nadu. 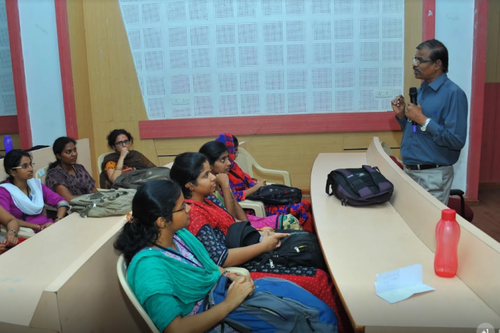 The college was established in 1996, and has been affiliated to the fellow Chennai- based Anna University, since the year 2012. 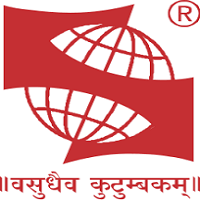 This affiliation ensures approval from the UGC (University Grants Commission). The total campus is worth eight acres of land. The college has also been accredited by both the NBA (National Board of Accreditation) and the NAAC (National Assessments and Accreditation Council), earning an A grade rating in the latter. A separate IQAC (Internal Quality Assurance Cell) has been created to this end, to ensure that all the terms of the NAAC are complied with. An AQAR (Annual Quality Assurance Report) gets generated to quantify the results. 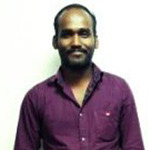 The technical courses here, are also approved by the AICTE (All India Council for Technical Education). 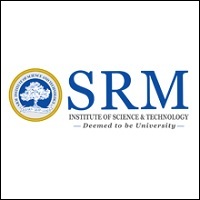 The Shri Ramaswamy Memorial (SRM) Group is behind the running of this college. Courses are available here at the EEC at both the UG as well as PG levels. At the undergrad level, the B.E. programme is on offer for the engineering areas of- Civil, Mechanical, Automobile, Information Technology, Computer Science, Electronics & Communication, Electronics & Instrumentation and for Electrical & Electronics. At the master’s level, the courses get more technical. So, the M. E. programmes are available for the areas of- Structural Engineering, Communication Systems, Engineering Design, Computer Science and in Embedded Technologies. In addition, there is also an MBA on offer here. 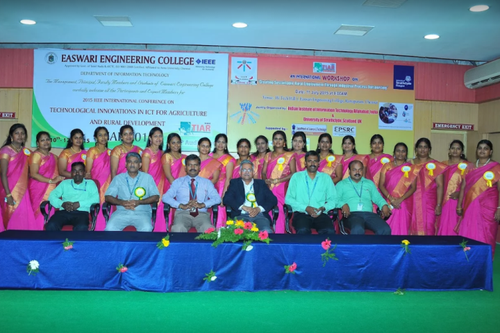 The academics here at the Easwari Engineering College in Chennai is handled by a cohort of sixteen departments, each possessing expertise in its own area. Eight of these fifteen are for the areas of undergrad study. There is also the Department for MBA. The Department of Science and Humanities handles a few study areas within. These are for the academic areas of- Physics, Chemistry, Maths and English. There are also some non- academic areas handled by this department for Counselling, Library and Physical Education. Admissions to the various programmes is via the TANCET (Tamil Nadu Common Entrance Test) paper. Several students from the EEC have earned university- level merit, making the college much proud. Research also plays a key role, here at the EEC. That is why several works of EEC faculty members and students have gotten published on different platforms. The college is also into consulting projects. Many of these projects are handed over by government or the industry bodies. Some of the funding agencies for these assignments have been the likes of- DST (Department of Science and Technology), AERB (Atomic Energy Regulatory Board), AICTE and the DRDO (Defence Research and Development Organization). Several patents have also been awarded to the team at the EEC. Some of the areas worked on include- wireless communication embedded safety helmet, bricks, blind navigation system with terrain mapper, energy conversion device, affordable windmills for domestic applications in coastal areas, vehicle exterior cleaner and for bio- physical monitoring and alerting. The faculty and students have also been published on several high impact publications. 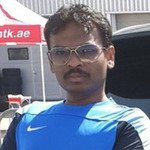 Prominent examples include the likes of – ISPRS Journal of Photogrammetry & Remote Sensing, Renewable & Sustainable Energy Reviews, International Journal of Thermal Sciences, Advances in Computational Tools for Engineering Applications, International Mathematical Forum, International Journal of Environmental Science & Technology and the International Journal of Computer Science and Network Security (IJCSNS) besides others. The research assignments are shared in by the different departments. This college has also always believed in providing benefits to the broader society. The students here have likewise been instilled with such value. And that is why the students here have been active participants in government schemes such as the NSS (National Service Scheme) and the NCC (National Cadet Corps). Another area of much importance to the institute is entrepreneurship. This is why the Entrepreneurship Development Cell (EDC) has been an active forum here. 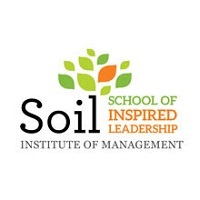 It helps develop the budding entrepreneurs among the students for the institute. Experienced trainers and entrepreneurs are invited to campus to deliver guest lectures and interact with those who have such business models. The campus is Wi- Fi enabled. Science laboratories have the latest of equipment. The library here is one of the best stocked within the region. Besides the physical books on display, it also provides digital access to en number of international academic journals for research and academic purposes. All this and more has led to the campus placement constantly going north. Some of the key recruiters in recent seasons have been the likes of – Amazon, Jus Pay, Tikona, Mphasis, NTT Data, Kotak Life Insurance, IBM, Wipro, VVDN, Atos, DBS Bank, ICICI Prulife, Zoho, Blue Star, TCS, Jaro Education, Isha Foundation, Bank of New York, Just Dial, GRE Edge, Ashok Leyland, Asahi Glass, MRF Tyres, Muthoot Finance, Akash Institute, Blue Star, Infosys and Virtusa Polaris, besides several more. Boys Hostel :Boys Hostel with an area covering 175.586 sq mts available adjacent to the campus.Rooms are completely furnished.Study Halls available in the hostelsHygienic Common dining room.Recreation Rooms with Television that is common.Indoor Games like caroms, table tennis, etcGym within the hostelMagazine Section delivers all kinds of newspapers both English and Tamil.Yoga Section for calmness of mind and body.Wifi Enabled for internet access in all the rooms.Department Stores within the hostels 24 hours power back up.The Hostels have necessary Infrastructure and Facilities with separate modern kitchens, Dining Halls and Services.The Hostels have provisions for hot water round the clock, through solar heaters.There are separate study Halls in addition to well established central Libraries of the respective Institutions at the Campus.Department stores are available separately for ‘Boys’ and for ‘Girls’, in the Campus to serve/ meet the day-to-day needs of hosteller.Support facilities such as Food Courts, Canteens, DTP, Bank/ ATM, Internet, Telecom center, Supermarket, Sports, Entertainment/ Recreation, Halls for Gym and Yoga are available. ‘Post Office’ is also located at a nearby place.There is a well established SRM Specialty Hospital (150 Beds) functioning round the clock, within the Campus. 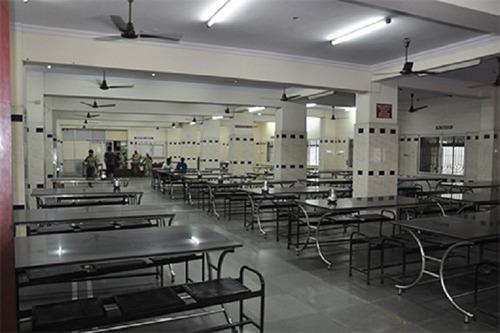 ‘Free treatment’ is provided for the Students, Staff and the Public.Institution wise orientation: Floors/ Rooms in each of the Hostels are administratively so earmarked for allotment of Rooms by the respective Head of the Institution. Girls Hostel :Girls Hostel (Siva-Sakthi, Om Vinayaga, Chellamal) available within the campus with a built-up area of 10580 sq mts.Rooms are completely furnished.Study Halls available in the hostelsHygienic Common dining room.Recreation Rooms with Television that is common.Indoor Games like caroms, table tennis, etcGym within the hostelMagazine Section delivers all kinds of newspapers both English and Tamil.Yoga Section for calmness of mind and body.Wifi Enabled for internet access in all the rooms.Department Stores within the hostels 24 hours power back up.The Hostels have necessary Infrastructure and Facilities with separate modern kitchens, Dining Halls and Services.The Hostels have provisions for hot water round the clock, through solar heaters.There are separate study Halls in addition to well established central Libraries of the respective Institutions at the Campus.Department stores are available separately for ‘Boys’ and for ‘Girls’, in the Campus to serve/ meet the day-to-day needs of hosteller.Support facilities such as Food Courts, Canteens, DTP, Bank/ ATM, Internet, Telecom center, Super market, Sports, Entertainment/ Recreation, Halls for Gym and Yoga are available. 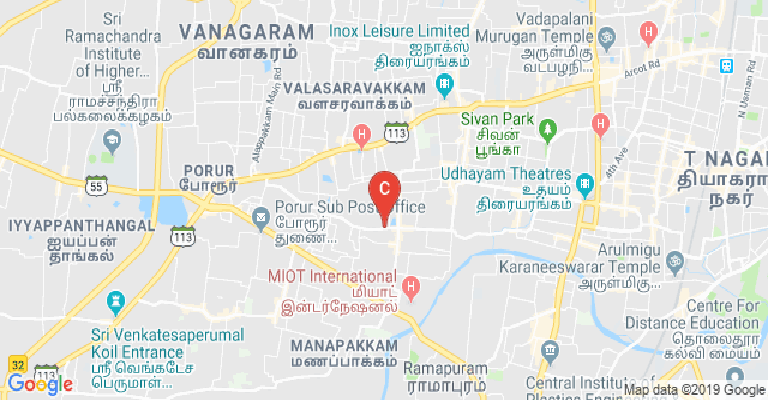 ‘Post Office’ is also located at nearby place.There is a well established SRM Specialty Hospital (150 Beds) functioning round the clock, within the Campus. ‘Free treatment’ is provided for the Students, Staff and the Public.Institution wise orientation: Floors/ Rooms in each of the Hostels are administratively so earmarked for allotment of Rooms by the respective Head of the Institution. 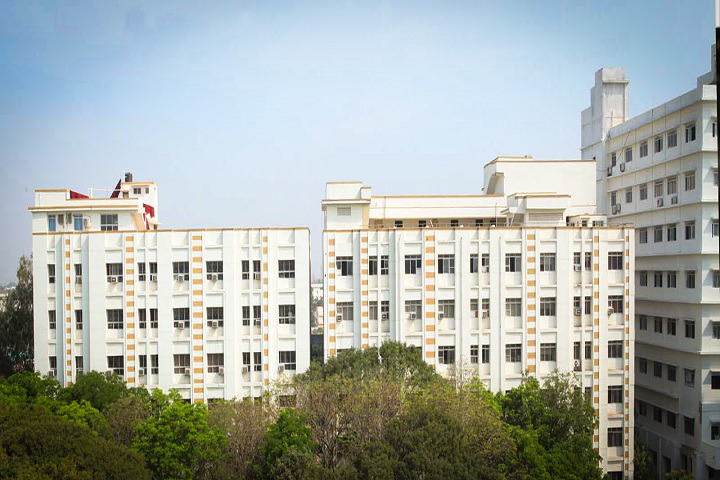 Medical/Hospital :The college has a well-equipped clinic and highly skilled Doctor within the campus to provide first-hand emergency services to Faculty members and students.College is surrounded by multi-specialty hospitals namely SRM multi-speciality Hospital, Ramachandra Hospital, Vijaya hospital, MIOT hospital, Suriya Hospital and Fortis Malar hospital. SRM multi-speciality Hospital is 9 storied building situated on the campus.The Hospital Has fully equipped modern operation theatre complex with laminar flow facility in a huge area situated on the 4th floor of the building where all the major surgeries of all the surgical modalities are performed.The hospital has the following facilities available round the clock (24 X 7). 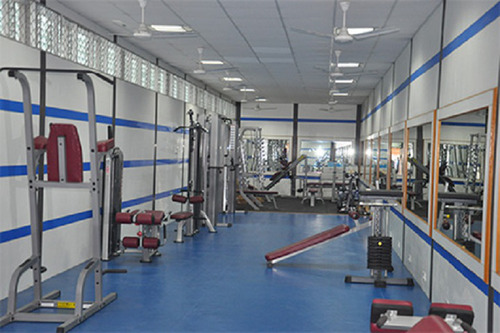 Gym :Gym within the hostel. Library :The Central Library is situated in the First &amp; Second floor of PG Block with the area about 2100 sq.m. The seating arrangement is designed to accommodate 450 users at a time. The reading halls are air-conditioned and located in all the sections for the convenience of the users; every bay has guides and shelf locator to navigate the materials. A number of specialized Science, Engineering and Humanities discipline books are available and for the effective and better governance of the resources, the entire collection is divided into various subject headings. The books are classified according to Dewey Decimal Classification (DDC) scheme. The Library subscribes a number of print &amp; online periodicals. All the Library operations are Computerized and barcode technology implemented.Libraries are available in all the departments with a total collection of 18995 Titles and 71031 Volumes. 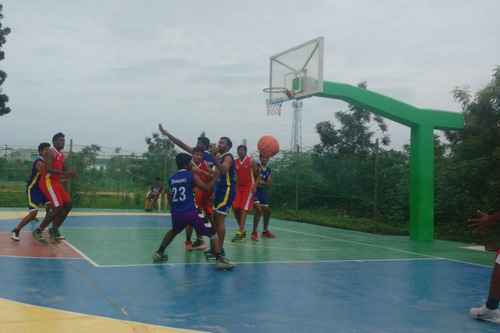 Sports :A playground with an area measuring 12150 sq.mts available within the campus.An active sports committee functions as a unit to emulate the achievements of every year.Awards and rewards during the sports day celebrations are given to outstanding sports performers. I.T Infrastructure :Internet facility with 155 Mbps bandwidth. Cafeteria :Food Courts effectively functioning to satisfy the needs of students and staff with a variety of delicious food items at affordable rates. Auditorium :Open Air Theatre measuring an area of 75930 sq.mts available which is, in turn, a platform for the students to showcase their talentsAn exclusive indoor auditorium with three different halls measuring 1500 sq. Mts available where various programs like workshops, FDPs, conferences are happening regularly. Laboratories :Well equipped Computer laboratories with 1200 highly configured terminalsWell established circuit, machines laboratories with modern Equipment.Laboratories are regularly updated and upgraded to cater to the students’ needs. Banks/ATMs :City Union Bank is situated in a sophisticated building within the campus with an ATM facility for Staff and students for transactions on all days.